You may be asking yourself, 'Why do I need to have my tires serviced?' At Meineke, we have a simple answer to this question - because your tires are some of the most important parts of your vehicle. When you service and maintain your tires regularly, you will get the most out of your vehicle's suspension system, handling, and overall performance. 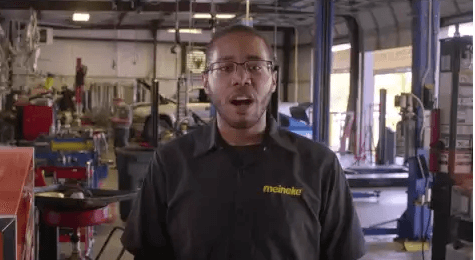 If you can't remember the last time you had your tires replaced or inspected, visit your local store today in Enfield CT Meineke #536 for a full tire-fledged tire inspection. The question of "why are tires so important?" typically comes up when the need for a tire repair shop arises. It is a question that deserves some thought. Nearly every aspect of your vehicle's performance, including braking, acceleration, steering, traction, and handling, are all largely dependent on tire performance. Issues with the tread, balance, or stability of your tires and wheels could affect your control of your vehicle in an emergency situation. Thus, if you suspect any problems, you should visit Meineke #536 in Enfield, CT for repair or tire change service right away. "My tires seem a bit worn down, should I find a flat tire repair shop near me?" This is a frequently asked question, but there is no universal answer. However, there are easily observable signs that your tires may need to be replaced or repaired. For example, if your tire pressure reading is consistently low, even after replacement or inflation, you may want to consider tire pressure sensor replacement. Loss of tread, poor vehicle handling, and visible punctures are also common signs of wear and tear. Stop by Enfield CT Meineke #536 to speak with a tire repair professional. Neglecting to inspect or replace your tires can be dangerous in the long-run. If your tires are worn down, you may have difficulties handling your vehicle during adverse weather. Sleet, rain, and ice can easily send a vehicle with little tread spinning. During rainstorms, your vehicle will be more susceptible to hydroplaning, and you may experience longer stopping times and distances. Both of these issues have the potential to cause severe injury to drivers and passengers. Naturally, we want to help you avoid such situations. Contact our Enfield, CT, and Meineke #536 to schedule a professional inspection of your tires. While proper care and maintenance can extend the life of your tires, a trip to your local repair shop for new tires is inevitable at some point. The key is knowing when you should bring your vehicle in for servicing so that you can prevent worn tires from affecting other vehicle systems. At Meineke #536 in Enfield, CT, we recommend replacing your tires at least once every 10 years. Sometimes, replacement needs to be done more frequently. Bringing your vehicle to us for regular inspections will allow you to spot major issues before you end up stranded on the side of the road. Because tires are your vehicle's only direct contact with the road, they should always be kept in the best possible condition. Tire rotation cost is a small price to pay to ensure that your vehicle is safe. Moreover, you can actually increase your fuel mileage by keeping your tires well repaired and maintained. Save money in the long run by taking your car or truck to Meineke #536 in Enfield, CT for inspection, maintenance and repairs. We offer competitive pricing and tire rotation coupons to help you experience the best savings possible without compromising safety.